PHP is a great language for developing web applications. It is essentially a server-side scripting language. PHP 7 is the latest version, providing major backward-compatibility breaks and focusing on improved performance and speed. This course follows a learning path which is divided into three modules. Each module is a mini course in its own right, taking your basic PHP programing skills to the next level by showing you intermediate to advanced PHP techniques with a focus on PHP 7. This way, get you equipped with the tools and skills required to develop professional and efficient applications for your websites and enterprises. 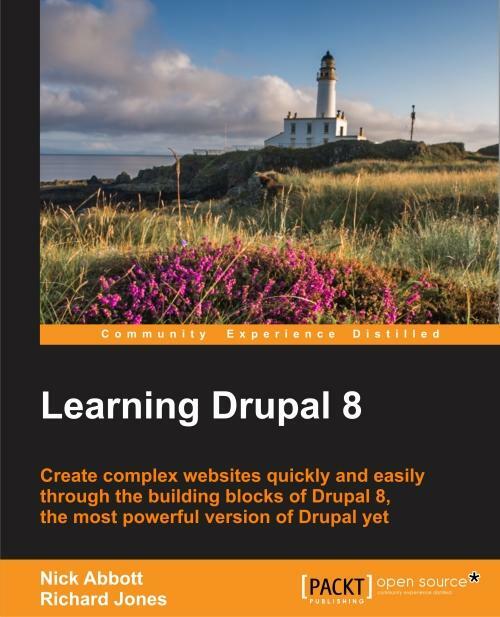 The first module of the book is a programming cookbook that consists over 80 recipes! 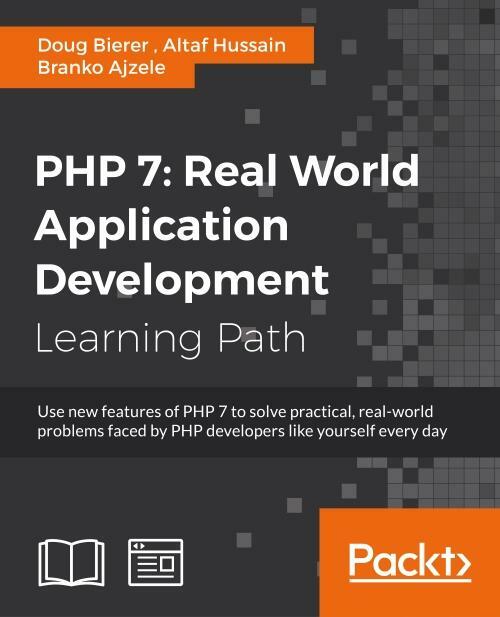 Each recipe is designed to solve practical, real-world problems faced by PHP developers like yourself every day. This course also covers new ways of writing PHP code made possible only in version 7. The second module of the course is designed to improve the performance and productivity of your application. We’ll introduce you to the concepts of Object-Oriented Programming (OOP) in PHP 7, then shed some light on how to improve the performance of your PHP 7 applications and database. Throughout this module you will be introduced to benchmarking tools. With all important concepts of PHP covered up you will move on to third module. In this module you will gain a deep insight into the modular programming paradigm and how to achieve modularity in your PHP code. Modular design techniques help you build readable, manageable, reusable, and more efficient codes. PHP 7, which is a popular open source scripting language, is used to build modular functions for your software. Doug Bierer has been hooked on computers since his first program, written in Dartmouth BASIC on a DEC PDP-8, in 1971. In his wide-ranging career, this author has been a professional contract programmer since 1978, having written applications in BASIC, PL/I, assembler, FORTH, C, C++, dBase/FoxBase/Clipper, Pascal, Perl, Java, and PHP. He deployed his first website in 1993 while living in San Francisco. He speaks four languages, has traveled extensively, and has lived in the USA, France, the Netherlands, England, Sweden, Scotland, and Thailand. He also spent some years doing Linux system administration and TCP/IP networking. He is also an accomplished musician (he has written over 60 songs) as well as a writer, under the pen name of Douglas Alan. Doug's own company is unlikelysource.com, which specializes in consulting, PHP programming, website development, and training (primarily for Zend Technologies Ltd and Rogue Wave Software Inc.
His works of fiction published on https://www.lulu.com/ are The End, And Then? and Further Indications. Some of his technical works for O'Reilly Media are Learning PHP and MySQL, Learning PHP Security, Learning MongoDB, and Learning Doctrine. Altaf Hussain is a fullstack web and mobile app developer with over 6 years of experience in PHP development. He received his degree in electrical engineering and specialized in computer and communications from Pakistan. Altaf is an electrical engineer on paper and a software engineer by heart. He worked as a system programmer in his team, developing control software for small test robots using assembly languages and C. After this, Altaf got interested in web technologies and never looked back. He has worked with numerous PHP frameworks, including Zend, Laravel, and Yii, and open source systems such as Drupal, WordPress, PrestaShop, and Magento. Altaf designed and built two proprietary CMS systems with full support for multiple languages and models, permissions, and translations, as well as different kinds of multilingual content management. Now, he works in the fashion industry as the head of IT at shy7lo.com, where his role is to manage the development team on the premises and abroad, in order to manage Magento and Laravel applications development and the deployment life cycle. Besides web apps, Altaf has worked on iOS and Android applications, including building APIs in Lumen. He is a big fan of service-oriented architecture (SOA) and successfully uses it in different applications. Altaf actively researches on website performance and has deployed the latest technologies, such as PHP 7, NGINX, Redis, Varnish, and others, in production environments for high-speed and scalable applications. He is a Debian lover and uses it for all of his web application deployments. When not working, Altaf writes articles for programmingtunes.com and techyocean.com. He has reviewed several books for Packt Publishing, including Learning Phalcon PHP, Mastering jQuery Mobile, and PrestaShop Module Development. Branko Ajzele was born in January 1983 and lives in Osijek, Croatia. He is a husband, father of two, book author, and software developer. He holds a faculty degree in electrical engineering. He loves all things digital and makes a living out of software development. Branko has years of hands-on experience in full-time software development and team management and specializes in e-commerce platforms. He has worked with Magento since 2008, knee-deep since its very first beta version. He is regularly in touch with modern software development technologies. He has strong technical knowledge and is able to communicate technicalities clearly with strong direction. He feels comfortable proposing alternatives to demands that he feels can be improved, even when this means pulling a late shift to meet deadlines. Branko holds several IT certifications such as Zend Certified Engineer (ZCE PHP), Magento Certified Developer (MCD), Magento Certified Developer Plus (MCD+), and Magento Certified Solution Specialist (MCSS). Instant E-Commerce with Magento: Build a Shop by Packt Publishing was his first Magento-related book oriented toward Magento newcomers, after which he decided to write Getting Started with Magento Extension Development for developers. His third book, Magento 2 Developer's Guide, covers Magento 2 e-commerce platform development. He currently works as a full-time contractor for Lab Lateral Ltd.—an award-winning team of innovative thinkers, artists, and developers, specializing in customer-centric websites, digital consultancy, and marketing—as the lead Magento developer and head of the Lab's Croatia office. Branko was crowned E-commerce Developer of the Year by Digital Entrepreneur Awards in October 2014 for his excellent knowledge and expertise in e-commerce development. His work is second to none, and is truly dedicated to helping the Lab Lateral Ltd. team and fellow developers across the world. PHP kuvar sadrži obilje rešenja problema s kojima se programeri svakodnevno sreću pri izradi dinamičkog Web sadržaja. Napisan je popularnim stilom "Problem/Rešenje/Objašnjenje" gde su uz svaki praktičan primer, tzv. recept, data objašnjenja logike i pojmova na kojima se zasniva.